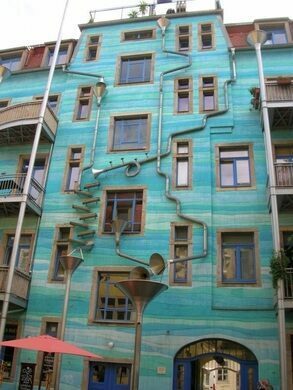 When the rain starts to fall, this colorful drain and gutter system in the Neustadt Kunsthofpassage turns into a charming musical instrument. 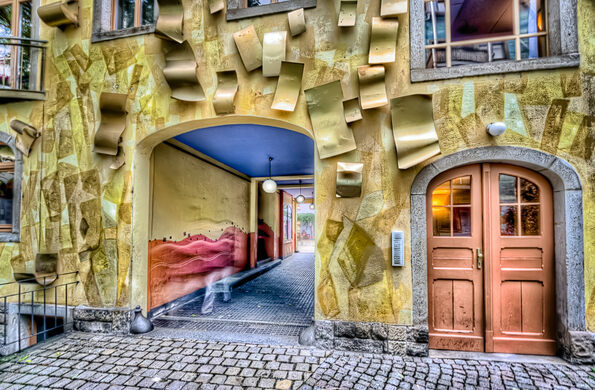 The “Courtyard of Elements” is one of the strangest and most enjoyable attractions in Dresden’s student district in the new town. It’s part of the Kunsthofpassage series of courtyards, which is an art experiment by the tenants of the apartment buildings on which the works are installed. Created by sculptor Annette Paul and designers Christoph Rossner and Andre Tempel, this piece was inspired by Rube Goldberg Machine, converting the mere patter of rainfall into a spectacular orchestral symphony. Slaughterhouse Five opens its dank doors to fans of Kurt Vonnegut.